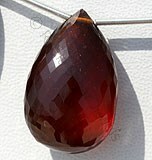 Onyx is a gemstone whose description can have several connotations. 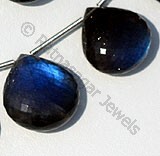 Its most accepted gemstone definition describes a solid black Chalcedony, or a banded or layered black and white Chalcedony. 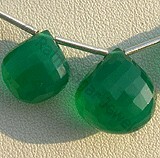 Green Onyx is Onyx died a rich green color. 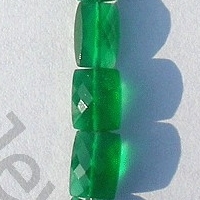 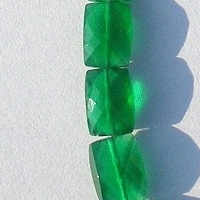 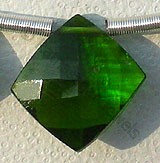 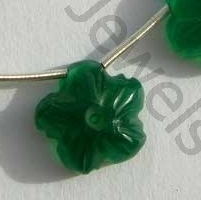 Green Onyx has all the properties of Onyx. 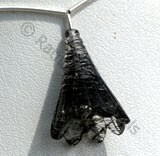 Onyx is a soothing stone, said to help alleviate fears and worries and to help you to feel comfortable within yourself and in your surroundings. 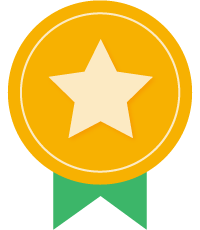 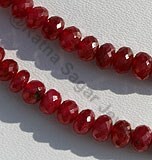 It is also said to encourage wise decision-making and to promote stamina and vigor. 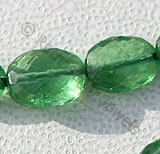 Normally Green Onyx Gemstone is referred as the secondary stone (Upratna) for Mercury (Lord Budh) and therefore is used as both jewelry item and also as fortunate stone by persons of referring to specific zodiac. 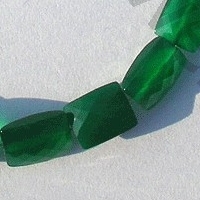 Having the hardness of 7 on mohs scale green onyx is the mixture of onyx and green color, however to strengthen its green color it is heated at high temperature. 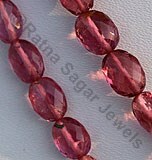 It is a natural stone which is obtained from rocks and not artificially developed. 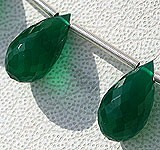 It would be interested that the strong green color which emerges after extreme heat treatment enhances the looks of wearer. 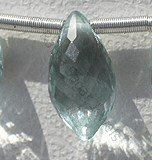 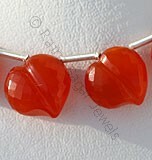 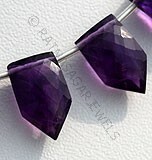 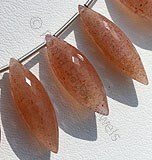 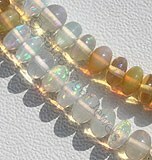 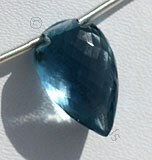 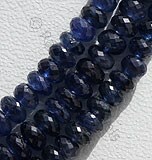 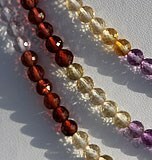 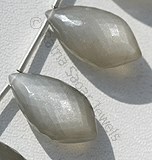 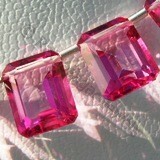 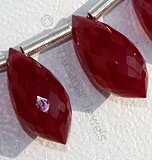 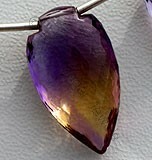 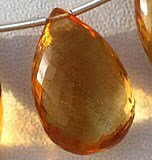 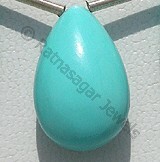 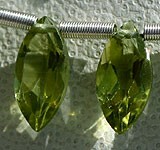 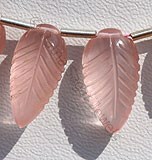 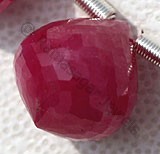 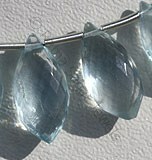 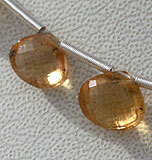 Apart from being used as jewelry items it is also used as mystical gemstone by various persons. 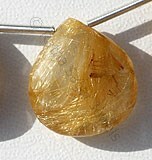 It is believed that this stone is associated with Mercury which enhances intellectuality, business, public addressing ability, intelligence, memory, brain power etc. 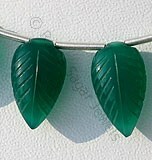 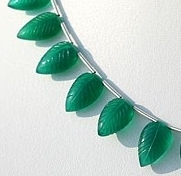 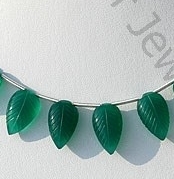 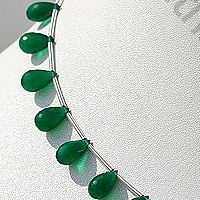 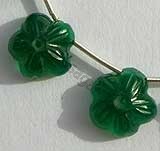 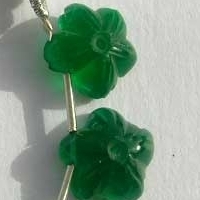 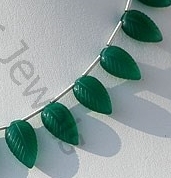 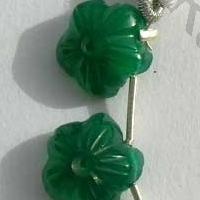 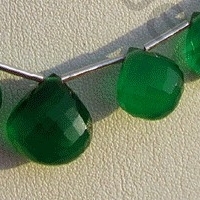 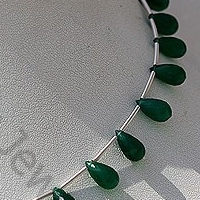 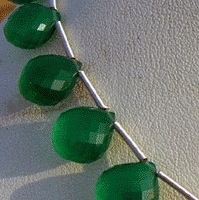 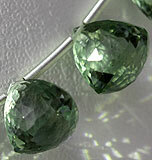 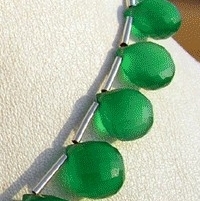 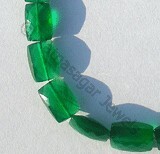 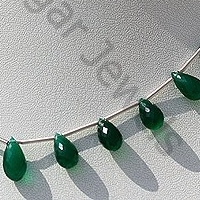 Ratna Sagar Jewels has the widest collection of green onyx beads in their online store. 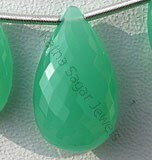 Green Onyx Gemstone is a variety of natural white chalcedony quartz, which is treated with deep green color, possess property of translucent with vitreous luster and are available in green color with micro cut, Tear Drop Shape.